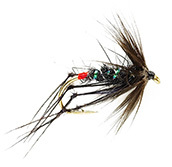 Trout fishing flies and Bristol Hoppers for stillwater brown and rainbow trout fishing. Buzzers and Trout fishing flies for stillwater brown and rainbow trout fishing. We stock a fantastic range of Czech Nymphs and grayling bug perfect for fly fishing for trout and grayling. 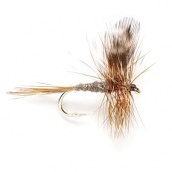 We stock a fantastic range of Diawl Bach nymph perfect for fly fishing for trout. We stock a fantastic range of Dry Flies for trout fishing. From the May Fly to Caenis, we have lots of trout fly patterns to match the hatch. We stock a fantastic and wide range of Emerger patterns for fly fishing. Our emergers are perfect for fly fishing for both brown and rainbow trout. Buy now at 90p each. We stock a fantastic range of nymphs for fly fishing. Our trout nymph patterns are perfect for fly fishing for both brown and rainbow trout. Buy now at 90p each. A great small nymph pattern for trout and grayling.